Swimming can be one of the great joys of a child’s summer. But its important to be vigilant around water, and not just at the beach. Drowning is the second leading cause of unintentional injury-related death for children 14 and under. And for children ages 1 to 4 its the leading cause. The majority of drownings and near-drownings occur in residential swimming pools (Foundation for Aquatic Injury Prevention). Lifeguards aren’t babysitters. 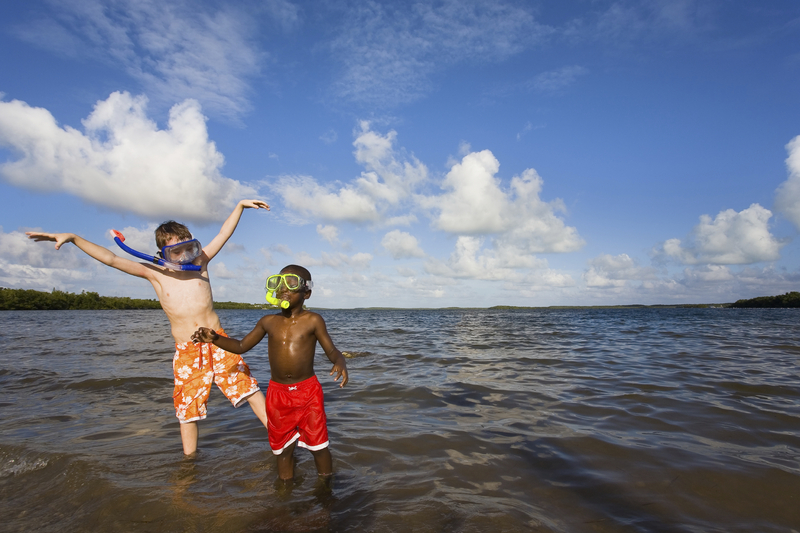 Keep an eye on your kids, and never leave a child alone near water, whether on the beach or at a pool. Always follow posted safety precautions when visiting water parks. When swimming outside, get everyone out of the water if you hear thunder or see lightning. Don’t dive into unknown bodies of water. Jump feet first to avoid hitting your head on a shallow bottom. Stay away from drains in pools and spas.